Two basic dual trigonometric series relations involving a countable infinite number of unknowns are considered for the determination of the unknowns. The numerical values of the unknowns are determined with the help of the methods of algebraic least-squares approximation and singular value decomposition. The dual trigonometric series and the corresponding functions are compared with the existing results. The errors are also computed to show the efficiency of these methods. The study indicates that the method of algebraic least squares is more straightforward, simpler and computationally more efficient as compared to the available methods. The first author is grateful to the University Grants Commission (UGC), Government of India, for providing the research fellowship for pursuing PhD degree at the Indian Institute of Technology Ropar, India. 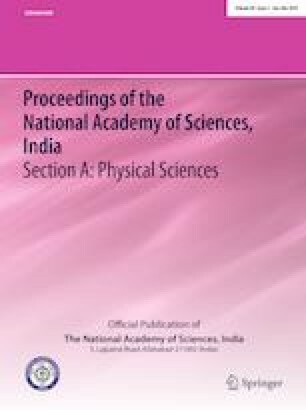 The second author is grateful to the Department of Science and Technology, Government of India, for financial funding under Grant Number SB/FTP/MS-034/2013. The third author is thankful to NASI for financial support as a Senior Scientist Platinum Jubilee Fellow.